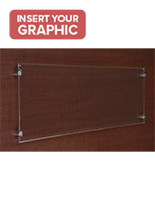 This 36" x 12" Standoff Frame Keeps the Banner or Panorama in Full View! 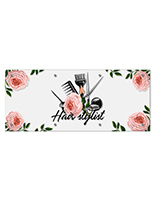 This Banner Holder Has a Clear Front for an Attractive Picture Display! Media Size: 12" x 36"
8" x 24" 10" x 30"
Panel seems to be floating one inch from the wall. Mounts attach the panel to the display surface. 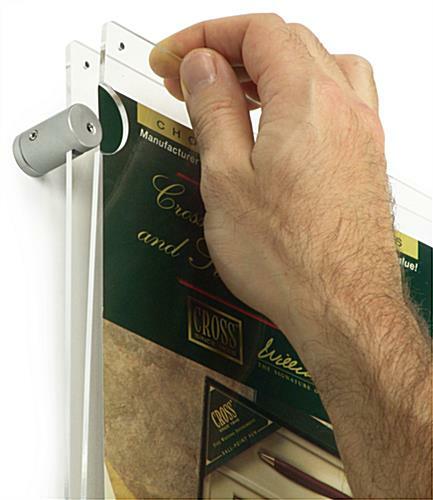 This 36" x 12" standoff frame, commonly referred to as a sign holder, attaches to the wall with four edge gripping mounts. 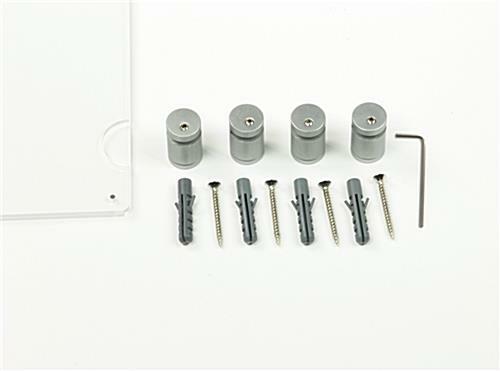 The picture display features a clear, frameless design to keep the contents in full view. 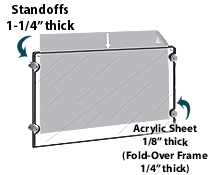 This wall mounting 36" x 12" standoff frame includes all the other necessary hardware to properly install the unit. The picture display is a wonderful choice for use in public spaces, such as retail shops, offices, schools and many more. This 36" x 12" standoff frame for a panoramic print is made for landscape use only. The sign holder uses a fold over construction for convenient signage changes. 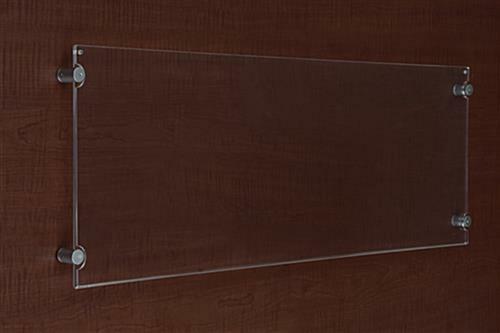 This 36" x 12" standoff frame shuts tightly with the top magnets at the corners. 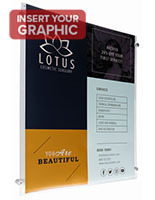 The picture display is durable enough to secure the graphics. 37.9" x 12.1" x 1.3"